How to thrive on keto with a whole food-based approach to high-fat, low-carb, keto living without dairy. 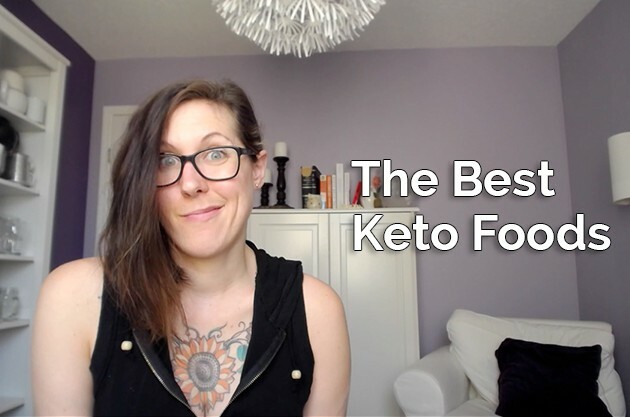 The best keto foods, worst keto foods and navigating thyroid imbalance. 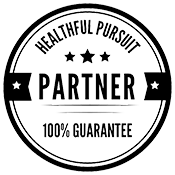 My approach to high-fat, keto living is about achieving balance. It’s about having a relationship with fat again, about flipping the food pyramid upside down – what we used to eat in carbs we are now eating in fat, and vice versa. It’s not about completely removing carbs from the equation or being afraid that the kale we have on our plate will kick us out of a ketogenic state. This is a lifelong thing. So, lets set up some lifelong, healthy, keto practices, yes? Everything you put into your body is going to make up your cells and determine your reality. Everything. Get your FREE 12-page keto shopping list. If you’re already subscribed and don’t remember receiving this, just subscribe again and you’ll get it again! 30-day Keto Meal Plan + Guide, The Keto Beginning. My favorite magnesium supplement: Natural CALM Magnesium, I take 2-3 teaspoons, 2-3 times per day. I started off small (1 teaspoon per day) and worked my way up. Questions about high-fat, keto living? Let’s chat about them in the comments! Here’s what I have to say to you. If you want to adapt a high fat eating style or maybe you’ve been eating high fat for quite some time or you subscribe to the ketogenic way of eating and you’re feeling off and not so good or maybe you’re paleo and you want to go a step further. I really see a whole foods based ketogenic eating style as being a food pyramid flipped upside down. Everywhere where we had carbohydrates before, we have fat and everywhere we had fat before we have carbohydrates. It’s not about removing macro nutrients, it’s about creating balance and right now, our standard American way of eating, it is not balanced. What we need to do is flip the numbers. We need to eat more fat, less carbohydrates but it’s okay, we don’t need to be afraid of vegetables. I know that when I was first starting out, I started counting my kale and getting really obsessed about, oh my gosh. This is a hundred grams of kale and it’s too many carbs. Some tips that I can provide to you is that every time you have a meal, make sure that there’s some green on your plate. Some really good things are spinach and kale and collards. Instead of using your breads or coconut wraps or even those grain free goodies to wrap your sandwiches in, go for lettuce or collards or make little cucumber sandwiches or use pickles. Make sure that you are liberal with your vegetables. Will this keep you in a constant state of ketosis all the time? Maybe, maybe not, just depends on your body. Another one is high quality fats. Your red palm oil, yeah, it tastes a little funky if you eat it out of the jar but if you mix it with a bunch of vegetables or meats and you sauté it, it’s awesome. Another one is coconut oil, a really good quality, high quality, it needs to smell like coconuts so it wasn’t processed. You get used to the flavor, I swear. Cacao butter is really good. You want to look for ones that say c-a-c-a-o butter and that’s the fat from chocolate. It doesn’t have any caffeine, it’s just straight up fat. High quality meats like the grass-fed meats. I’ve talked about this in so many videos. If you’re going to eat high fat, you need to make sure that the fats containing in those meats are high quality. You’re going to get that from grass-fed, grass finished meats. If you’re looking for more things like chicken, then you want to look for soy free, corn free chicken and really it’s about quality because everything that we put in our bodies, every single thing is going to make up our cells, so how can we make sure that our cells are healthy? It’s about the stuff that we put in our body and also, out of our body, what we’re going to be talking about that throughout the summer. Now, when it comes to organics, basically as a ketogenic, high fat, awesome superstar, you’re going to want to buy organic spinach, bell peppers, any of your greens or herbs, tomatoes, snap peas, cucumbers, celery and I think that’s about it. Think of hard skinned things, it’s okay to buy non organic but those soft skin things like greens and stuff, there are so many herbicides, pesticides, it can totally impact your hormone regulation and so many other things and toxic level and cellular repair. Just go organic with those things and do your body a service. Another thing is if you’re eating this way, magnesium and electrolyte balance. Even in people that are eating more carbohydrates, magnesium is super important. Cortisol will eat up all your magnesium. When you’re stressed, it’s eating it up, it’s eating it up. We need to make sure that we’re having enough magnesium. My favorite is Natural Calm, I add a couple packets to water throughout the day and I drink it through out the day and that’s my magnesium supplementation routine. High-quality salt, if you have an issue with your thyroid or you have a pre-existing thyroid condition, you want to look for grey sea salt. Himalayan rock salt, which I just learned has a little bit of fluoride in it. If you have an issue with your thyroid, you want to avoid fluoride at all costs. If you have a thyroid condition or you’re worried about your thyroid, make sure that you’re having sea salt instead of Himalayan rock salt and put that shh on everything. Sorry, it’s a children’s show. Some people watch this show with their families, so I have to be careful with what I say. Last but not least, in tune with the whole thyroid thing is if you have an issue with your thyroid, make sure that you’re having things like kelp or iodine supplements or a little Brazil nut’s here and there. If you’re eating too low carb for too long, yeah, totally. You could start losing your hair. It’s just like if you don’t have enough fat, your skin’s going to get all scaly and your cells are going to be shrinking and gross. If you don’t have enough carbohydrates, your body is going to display a lack of carbohydrates so maybe you start off at five percent carbohydrate intake and you increase all the way up to thirty percent depending on your body. 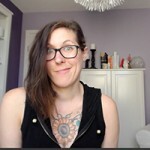 My happy place is if I had to guess, somewhere around fifteenish percent a day and I go in and out and it’s really just about following your body and that is why I created The Keto Beginning is that I wanted to create a whole foods resource for people that love whole foods, want to eat high fat, benefit from ketogenic eating and understand their bodies a lot more. By following my thirty day meal plan, I hope that people are able to see that they can eat greens and they can have vegetables and they can put sauces on things that are made with whole foods that use gorgeous mayonnaise that’s not from vegetable oils and a real focus on quality ingredients so that you can make this a life long practice and so that you can benefit your body and so that we can prove that this way of eating, just a step up from the Palaeolithic way of eating, is that we’re focusing more on fats, high-quality foods and really doing our body good. Maybe this eating style doesn’t resonate with you, that’s totally fine but I hope through all of this, you can pick what you want from what I’ve shared with you today and create a style that works best for you. If you like this video and you want to hear more about high fat awesomeness and how to hack your way through a low carb life with a focus on whole foods from a nutrition educator’s perspective, you should subscribe to my channel and I will include the link somewhere up here. It’s usually somewhere around here and you just click that link, click it and you press subscribe and then you will get videos once a week and I will share recipes with you and I will share facts with you and I will share my experience and we can like a high fat party. Thanks so much for watching and I will see you next week. Bye.